The Hague, 13 October 2016 – Data released today by the World Health Organization (WHO) in its Global Tuberculosis Report 2016 demonstrate that the worldwide TB epidemic is larger and more threatening than previously estimated. 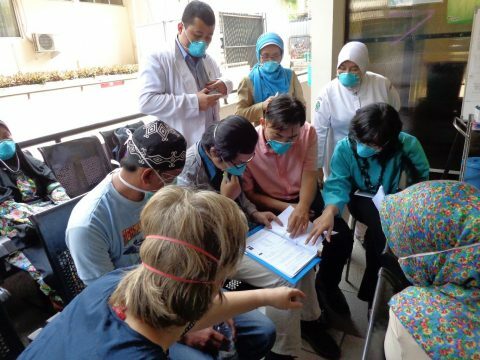 New figures show an increase in the number of new patients with tuberculosis (TB). This treatable disease kills 1.8 million people every year and the number of patients with a serious drug-resistant strain of tuberculosis has risen alarmingly. KNCV Tuberculosis Foundation actively contributes to defeating the TB epidemic through the introduction of new tools and mechanisms for finding and treating the disease and ensuring access to TB services for vulnerable groups and those at risk of being disproportionately affected. The Netherlands is a country with a wealth of knowledge and expertise in this field and has an important role to play in the worldwide fight against tuberculosis.